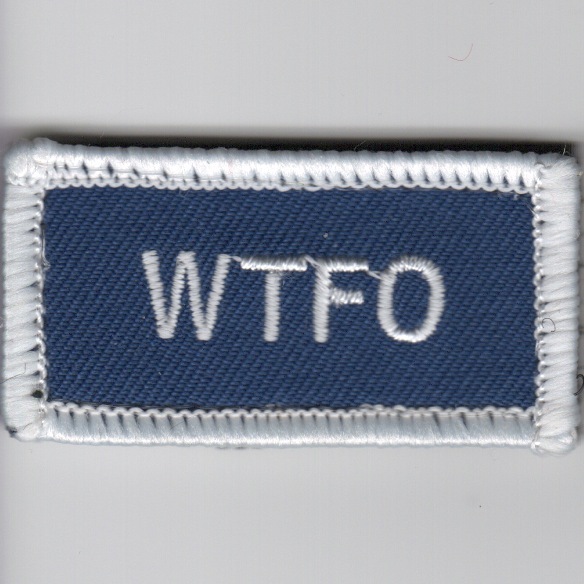 This is the blue/white version of the FSS tab that says "WTFO" (What The F*** Over?). This patch has velcro attached. 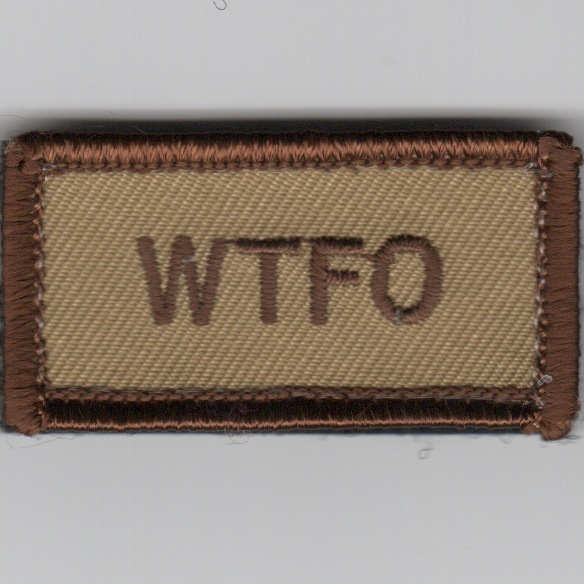 This is the desert version of the FSS tab that says "WTFO" (What The F*** Over?). This patch has velcro attached. 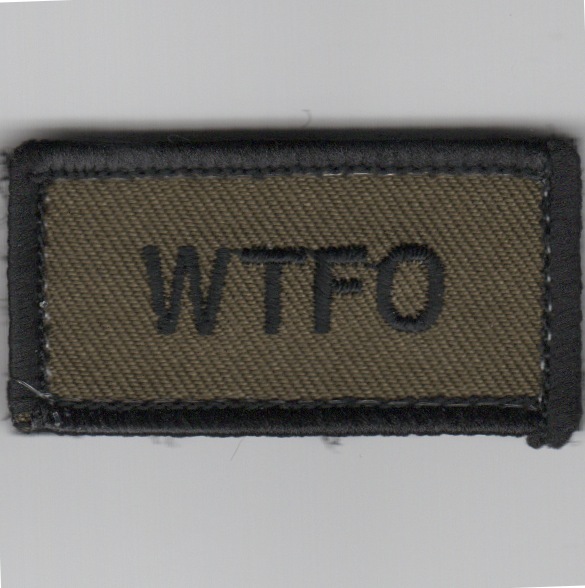 This is the subdued version of the FSS tab that says "WTFO" (What The F*** Over?). This patch has velcro attached. 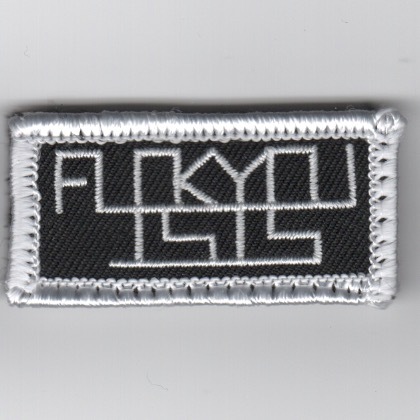 This is the black/white version of the FSS tab that says FUCKYOU (top) and ISIS (bottom) all formed together so that you have to know what you're looking for in order to read it. 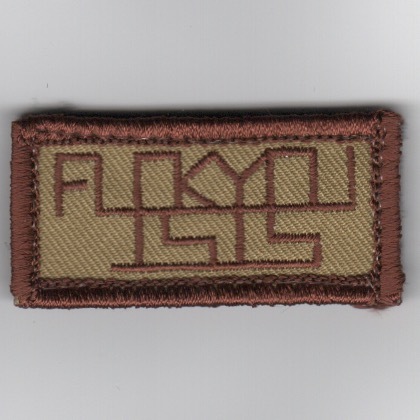 This is the desert version of the FSS tab that says FUCKYOU (top) and ISIS (bottom) all formed together so that you have to know what you're looking for in order to read it. 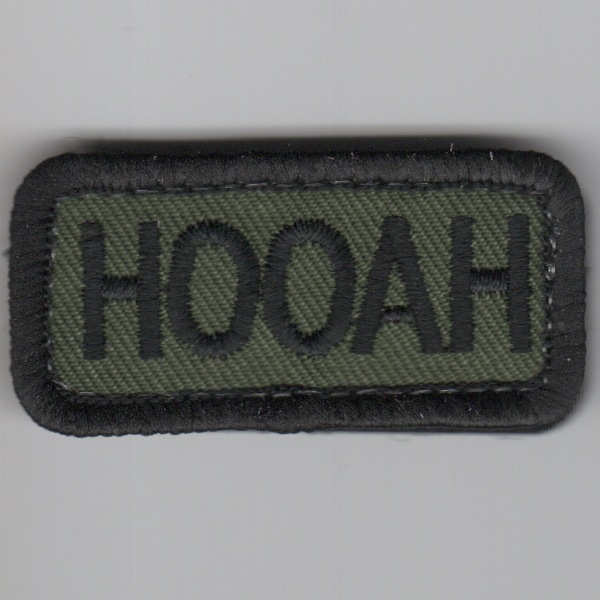 This is the black version of the FSS tab that says HOOAH (it's an Army 'thang'). 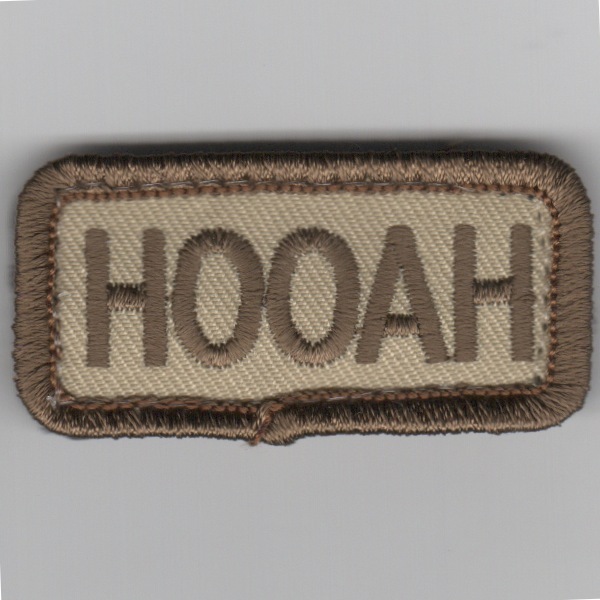 This is the desert version of the FSS tab that says HOOAH (it's an Army 'thang'). 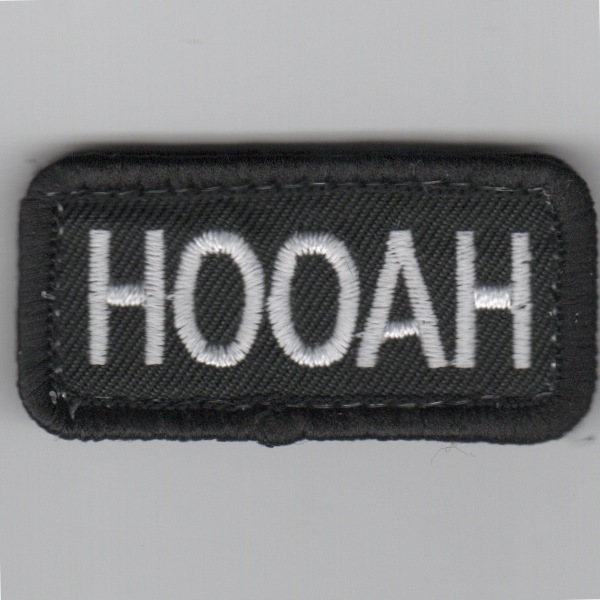 This is the subdued version of the FSS tab that says HOOAH (it's an Army 'thang'). 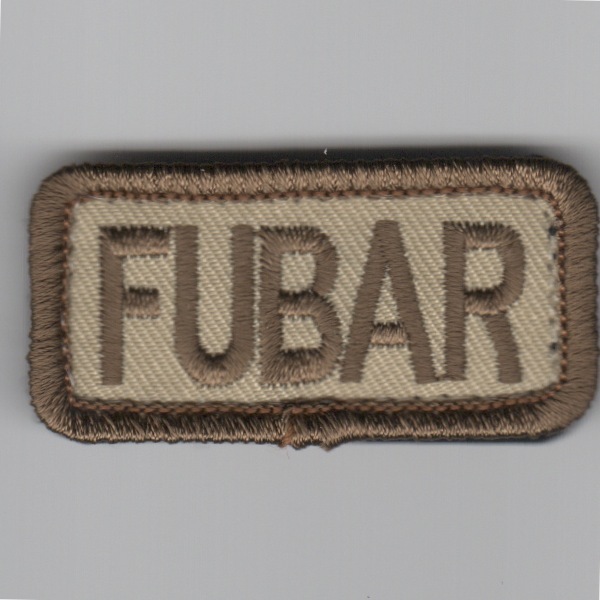 This is the desert version of the Flight Suit Sleeve patch that says "FUBAR", which we all know what that stands for. This patch comes with velcro attached. 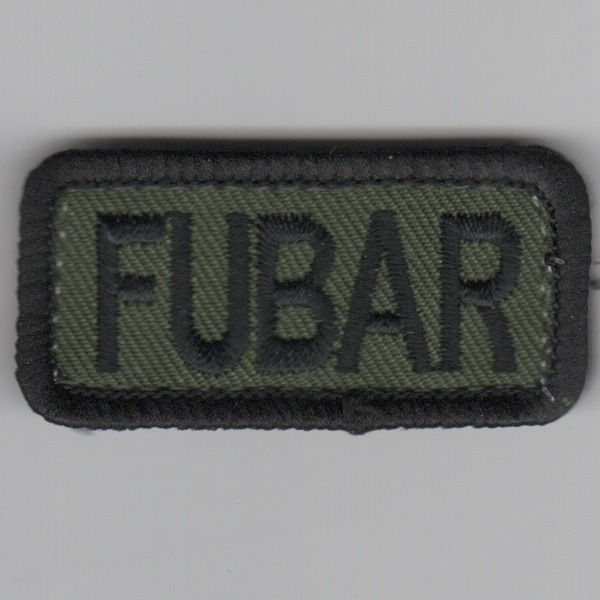 This is the subdued version of the Flight Suit Sleeve patch that says "FUBAR", which we all know what that stands for. 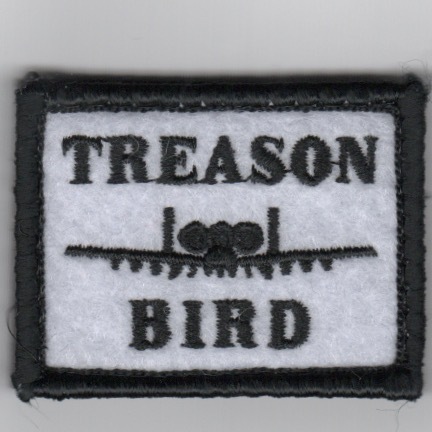 This patch comes with velcro attached. 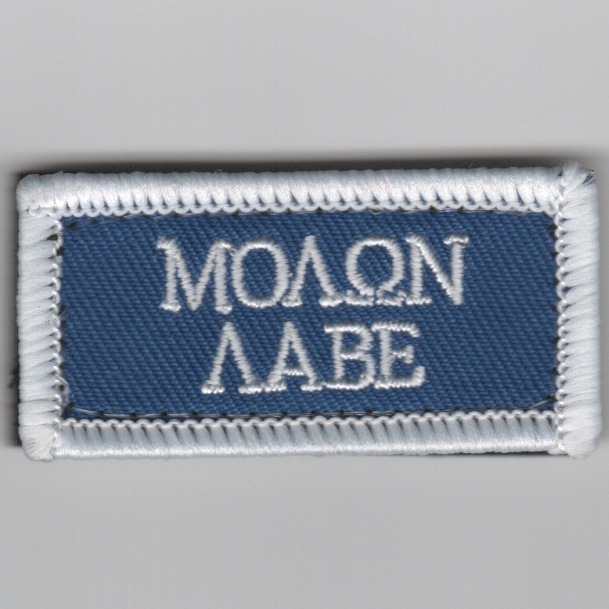 This is the blue version of the FSS patch that says "MOAON AABE"...another "line" from the Spartan movie "300" that means "COME AND TAKE THEM". This patch comes with velcro attached. 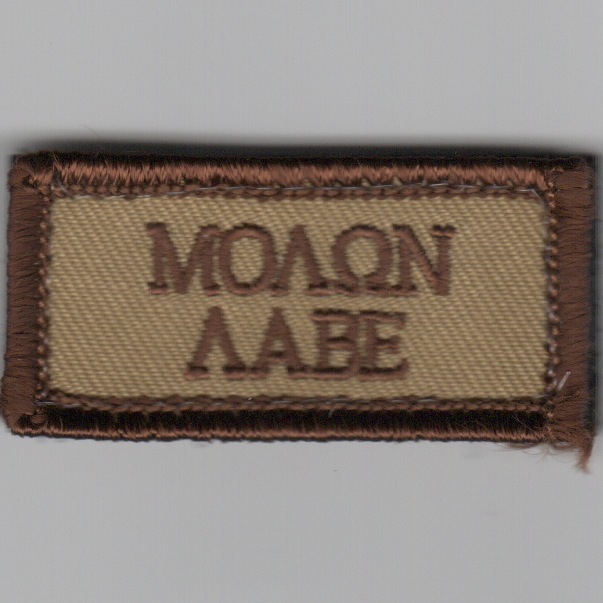 This is the desert version of the FSS patch that says "MOAON AABE"...another "line" from the Spartan movie "300" that means "COME AND TAKE THEM". This patch comes with velcro attached. 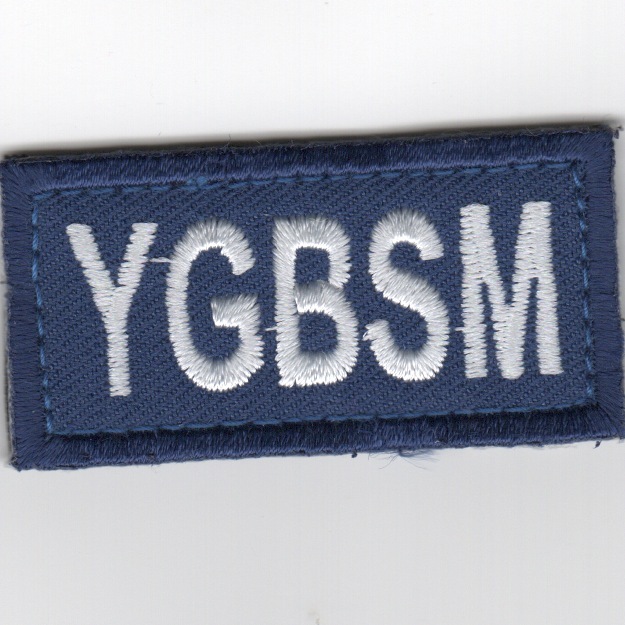 This is the blue version of the FSS tab that says YGBSM (You Gotta Be Shittin' Me). Afraid a lot of the "brothers and sisters in arms" are feeling this way every day! 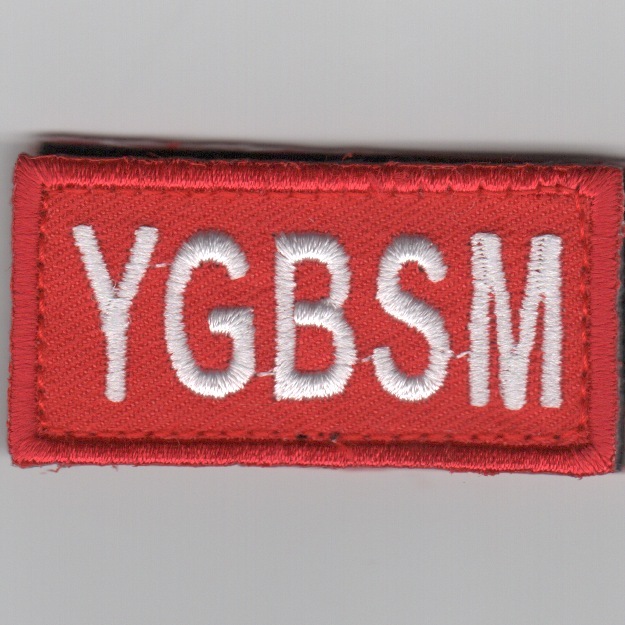 This is the red version of the FSS tab that says YGBSM (You Gotta Be Shittin' Me). Afraid a lot of the "brothers and sisters in arms" are feeling this way every day! 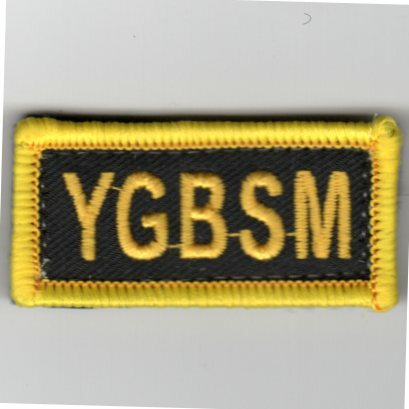 This is the yellow/black version of the FSS tab that says YGBSM (You Gotta Be Shittin' Me). Afraid a lot of the "brothers and sisters in arms" are feeling this way every day! 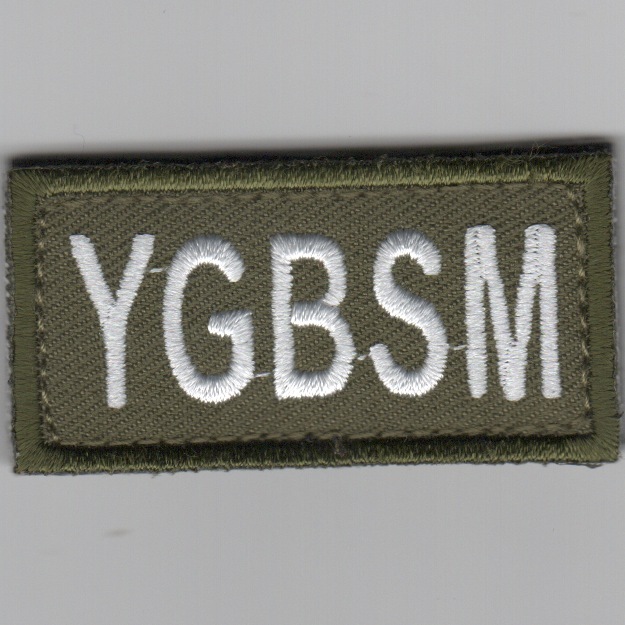 This is the subdued version of the FSS tab that says YGBSM (You Gotta Be Shittin' Me). Afraid a lot of the "brothers and sisters in arms" are feeling this way every day! 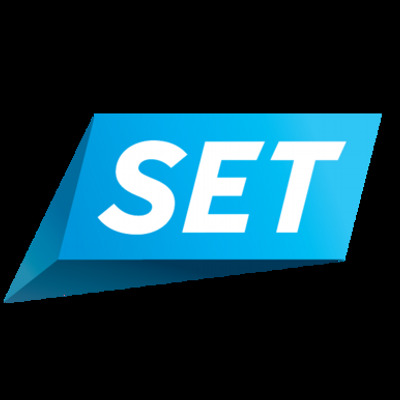 This is the desert version of the FSS tab that says YGBSM (You Gotta Be Shittin' Me). Afraid a lot of the "brothers and sisters in arms" are feeling this way every day! 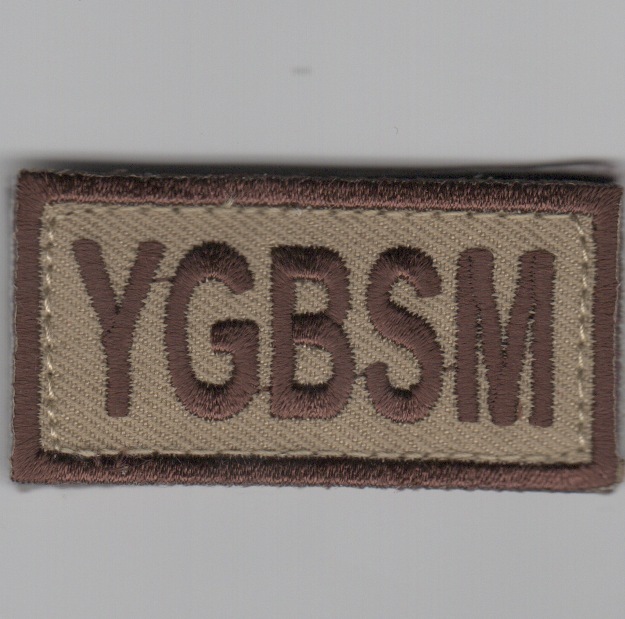 Use this link to get all 6 of the YGBSM patches. 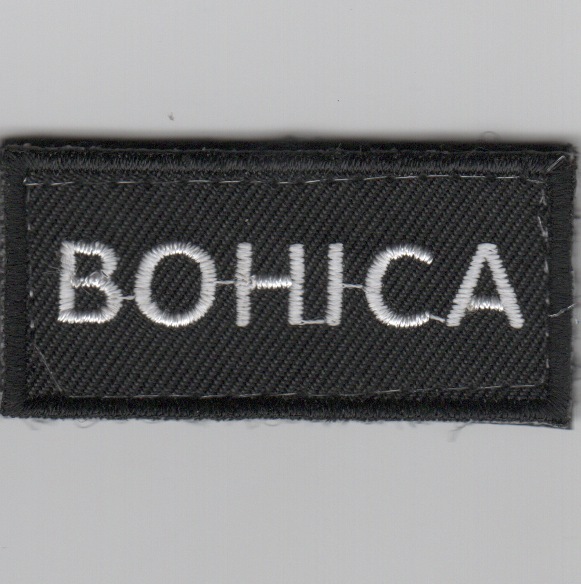 This is the black version of the "Pencil Pocket Patch" that says "BOHICA" which stands for Bend Over, Here It Comes Again. It comes with velcro attached. 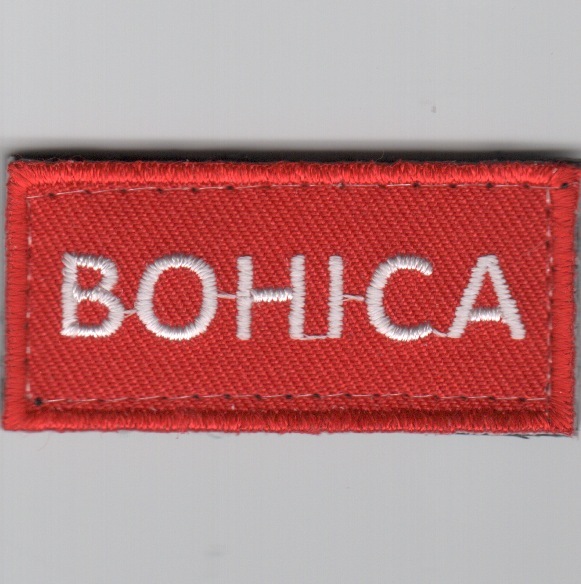 This is the red version of the "Pencil Pocket Patch" that says "BOHICA" which stands for Bend Over, Here It Comes Again. It comes with velcro attached. 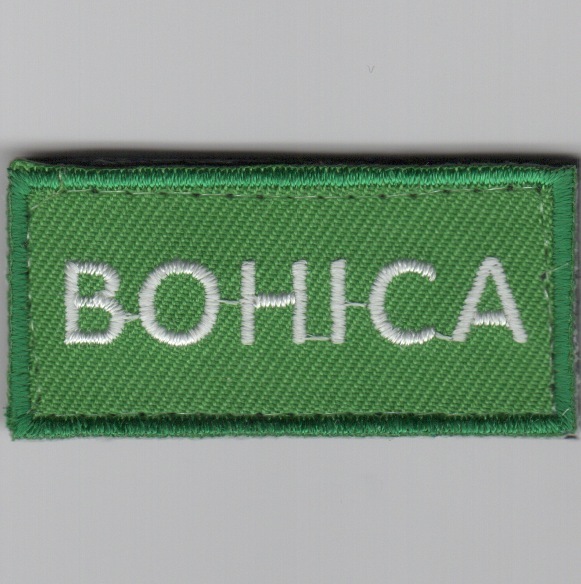 This is the green version of the "Pencil Pocket Patch" that says "BOHICA" which stands for Bend Over, Here It Comes Again. It comes with velcro attached. 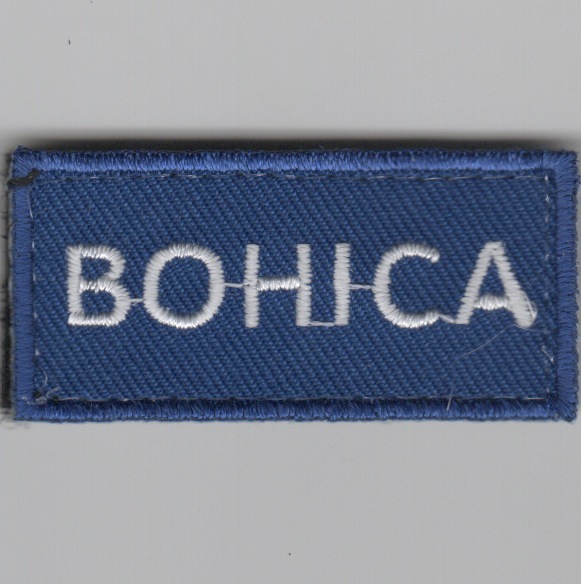 This is the blue version of the "Pencil Pocket Patch" that says "BOHICA" which stands for Bend Over, Here It Comes Again. It comes with velcro attached. 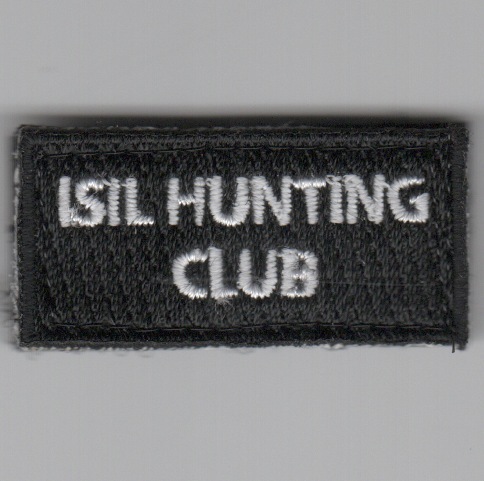 This is the black version of the ISIL HUNTING CLUB FSS patch. It comes with velcro attached.